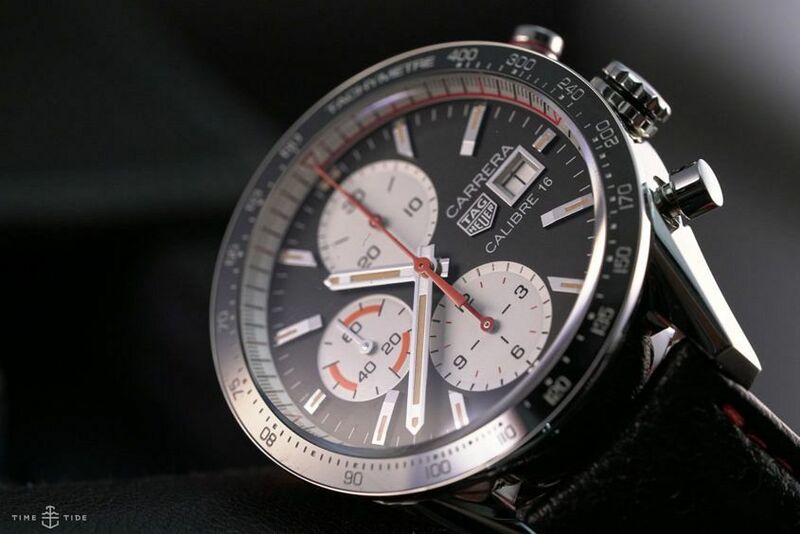 Named after the Carrera Panamericana, a legendarily dangerous car racing event of the early 1950s that took place across the open roads of Mexico and was cancelled after resulting in too many fatalities. 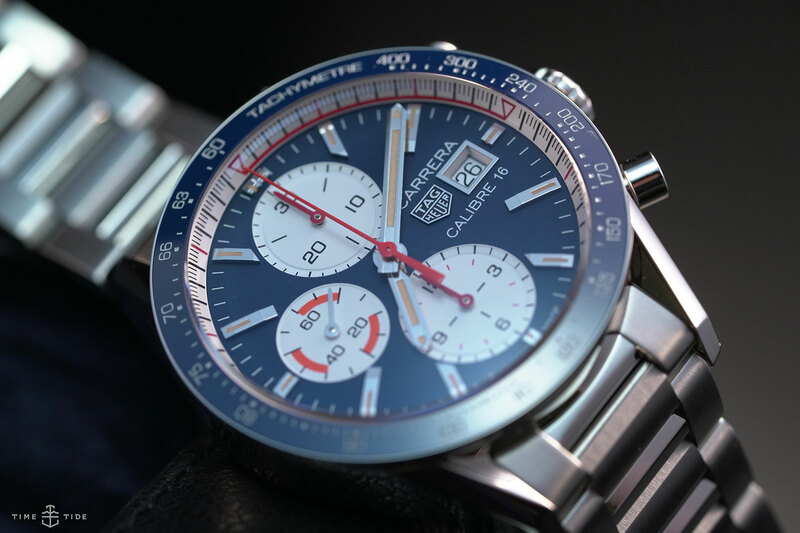 The TAG Heuer Carrera is an icon of the motorsport-inspired watch world. And this year it celebrates 55 years since its release with a stable of new releases, like this pair of heritage-inspired Carrera Calibre 16 Chronographs, released at Baselworld 2018. There are two colours available, a black dial and a blue. Both with contrasting white subdials and highlights of red and orange. The top subdial measuring the chronograph minutes, while the bottom does hours, and a running small seconds takes the position at 9 o’clock. 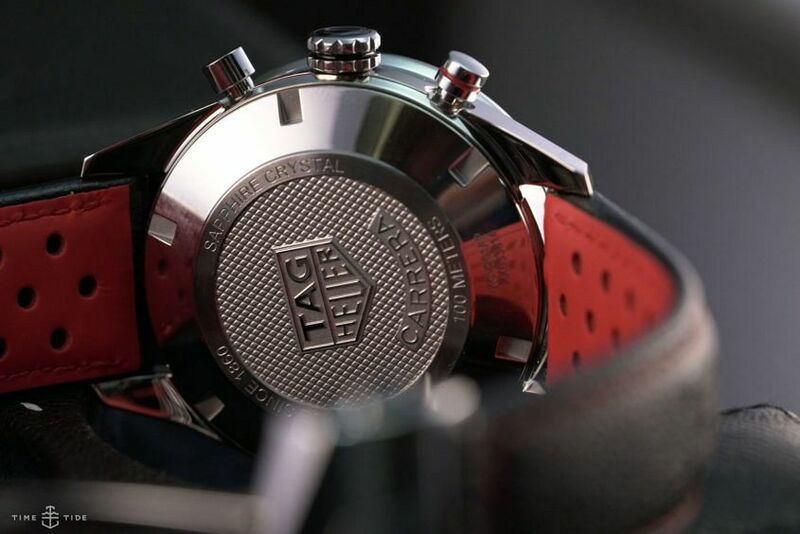 Ceramic bezels are embedded with a tachymeter scale and sit atop 100m water-resistant steel cases that measure 41mm wide and house the TAG Heuer Calibre 16, which is either a Valjoux 7750 or Sellita SW-500 movement. And a stainless-steel bracelet will come on the blue dial version, while the black dial gets a black perforated leather strap with red stitching. They’ve definitely captured the look of many of the Carreras of days gone by. However, the use of vintage-inspired lume or “fauxtina” is often a line drawn in the sand for the watchfam, with many either for it, or against it. Here, I think it works. There’s plenty of white already on the dial, from the subdials to the chapter ring and even the date wheel and text on the dial. And the creamy lume of the hands and markers only adds another degree of contrast that pairs well with the brighter, more vibrant, colours present. 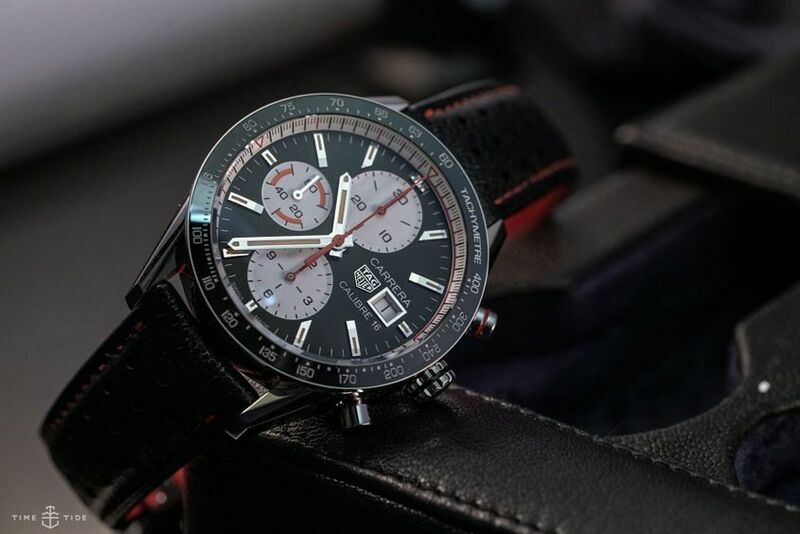 Overall, to me it suits its heritage inspiration and makes for a youthful and sporty design that’s wrapped up in a nicely sized case, and wears really well on the wrist. It’s easy to see the heritage inspiration behind this pair of new Carreras. And while they might not stick strictly to their vintage design code, they do bring a youthful energy to the mix, which I think will be appreciated by both the new and well-matured watch collector. Honestly, I’m a little surprised to not see a killer blue strap with red stitching made available for the blue dial version.